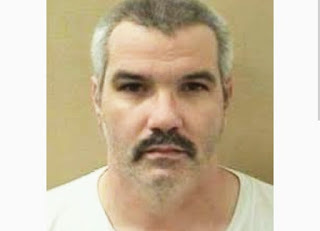 Serial Killer: Scott Williams. ~ CK Jacob: Nigerian Fiction And Lifestyle Blog. Scott Wiliams, a road worker is a convicted American serial killer that lived in Monroe Carolina. A local police officer said that Williams seemed to have lived a normal life, “except on [the] three or four occasions” when he brutally raped and murdered local women. All three murder victims were raped, shot in the head, and dismembered. Apparently, Williams wanted to cannibalize one of the bodies, but was disgusted with the smell of the meat after cooking it. Sharon Stone's remains were discovered by a man picking up cans. Williams was an employee of the North Carolina Department of Transportation and had no prior criminal record. Nothing initially drew the attention of law enforcement to him. A comment was made by an investigator that "He's lived a normal life, except on those three or four occasions." However, in connection with the Stone murder, Williams was identified as an acquaintance. Ultimately this led to his arrest on 9 March 2006 at 1:30 AM. All three victims had been shot in the head and suffered a similar forms of mutilation. During the course of the interviews, law enforcement found that he also knew Parker and Pressley. It was learned that Parker and Stone knew each other. Police were led to Williams after the bodies of Parker and Stone were found just a few miles from his house. DNA and ballistic evidence confirmed his guilt. He was given three life sentences in 2008.